First Parent Session is Oct. 17, 7:30 p.m., in the Conference Room in Shipyard’s South Independence Building, 12th St. & Shipyard Ln. – The Hoboken Historical Museum and the United Way of Hudson County, with support from the Robin Hood Foundation, are pleased to announce a six-month Sandy Community Outreach Program for Hudson County residents continuing to experience the effects of superstorm Sandy. Dawn Donnelly, a licensed disaster relief crisis counselor, will be available by appointment to meet with Hudson County residents in the Museum and in locations around the community to help people determine what services they need to assist their recovery from the storm. She will direct them to the appropriate resources to resolve ongoing issues and help them develop their own resiliency and preparedness to face future emergencies. Donnelly will offer group and individual sessions in the late afternoon/early evenings. Starting on Thursday, Oct. 17, at 7:30 p.m., Ms. Donnelly will host a group for parents that will meet every other Thursday evening, except for Halloween. The first session is on the topic “How to speak to children about disasters,” and these sessions are open to parents, grandparents, teachers, school administrators and counselors, and other guardians. The first meeting will be held in the South Independence Conference Room in the Shipyard, on 12th St. at Shipyard Ln. The second session, Thursday, Nov. 7, and subsequent group meetings will occur at the Museum and will focus on various topics. The overall Sandy Community Outreach Program is designed not only for families with children who are still having anxiety or behavior issues, but also anyone experiencing financial or housing issues, or concerned about being prepared for the next disaster. In addition, Ms. Donnelly will offer sessions to help children express their feelings and help teens learn greater resiliency. For more details, email sandyoutreach@hobokenmuseum.org, or leave a message for Dawn Donnelly at the Museum, 201-656-2240, with a name and contact number. visit www.stevens.edu/sandy to register for either or both events, which will be held on Stevens campus. The outreach program complements the Museum’s new Main Gallery exhibition, “Hoboken: One Year After Sandy, Lessons Learned about Preparedness, Resiliency and Community,” which examines the storm’s impact on our community from a historic, social, personal and engineering perspective. The exhibit opens to the public with a free reception from 5 – 8 p.m., Saturday, Oct. 26, and remains on view through July 6, 2014. The exhibit incorporates a range of content—oral histories, images, videos, historic images and drainage plans, animated maps and the latest scientific and engineering analysis—to help explain how Hoboken responded and learned new lessons about coping with disasters. 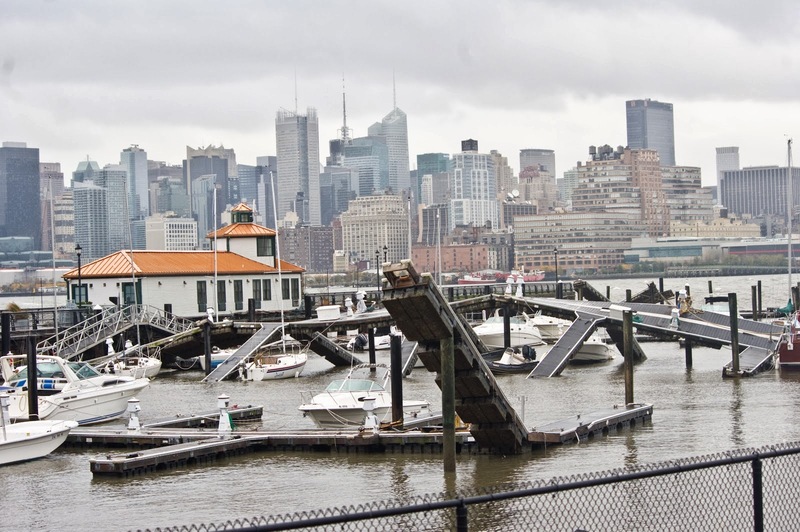 It explores Hoboken’s past history with flooding, the community’s experience during the storm and over the past year of recovery efforts, and looks to the future with displays on proposals for improving the city’s resiliency. Visitors will be able to add their own stories to the archives, to learn about personal emergency preparedness, and take a moment to reflect on their experience. The exhibit is made possible through funding from Hudson County Office of Cultural and Heritage Affairs, the New Jersey Historical Commission, United Way of Hudson County, Robin Hood Foundation, Applied Companies, Bijou Properties, John Wiley & Sons, Rockefeller Development Group, and Stevens Institute of Technology. A generous outpouring of support from members and friends of the Museum also made this exhibit possible. Their names will be displayed on a donor board by the Museum entrance. Founded in 1986, the Museum’s mission is to educate the public about Hoboken’s history, diverse culture, architecture and historic landmarks. In 2001, the Museum moved into one of the oldest buildings on the waterfront, in the former Bethlehem Steel shipyard, at 1301 Hudson St., Hoboken, where it maintains a series of rotating exhibits. The Museum is open six days a week, 2 – 7 pm on Tues. – Thurs., 1 – 5 pm on Fridays, and noon – 5 pm on weekends. It offers special exhibits, tours, events and lectures, as well as educational programs for adults and children on a weekly basis. A schedule of events and an online catalog of many items in its collections are available at www.hobokenmuseum.org. The Museum is a nonprofit tax-exempt 501(c)3 entity.